2019 Kia Soul Titanium Gray 26/31 City/Highway MPG We do things different at Auffenberg. Every vehicle is priced to sell and the price you’ll pay. There are no additional destination fees or hidden add-ons. You asked for a simpler way to buy a car, and we listened. Paying cash, this is your price. Financing the vehicle at standard rates? This is your price. Do you have a trade? This is your price. Don’t have a trade? Still your price. Call any other area dealer and see if any sales employee can guarantee all of those things for you. If they can’t, why buy there? 2019 Kia Soul Clear White 26/31 City/Highway MPG We do things different at Auffenberg. Every vehicle is priced to sell and the price you’ll pay. There are no additional destination fees or hidden add-ons. You asked for a simpler way to buy a car, and we listened. Paying cash, this is your price. Financing the vehicle at standard rates? This is your price. Do you have a trade? This is your price. Don’t have a trade? Still your price. Call any other area dealer and see if any sales employee can guarantee all of those things for you. If they can’t, why buy there? 2019 Kia Soul Alien Ii 26/31 City/Highway MPG We do things different at Auffenberg. Every vehicle is priced to sell and the price you’ll pay. There are no additional destination fees or hidden add-ons. You asked for a simpler way to buy a car, and we listened. Paying cash, this is your price. Financing the vehicle at standard rates? This is your price. Do you have a trade? This is your price. Don’t have a trade? Still your price. Call any other area dealer and see if any sales employee can guarantee all of those things for you. If they can’t, why buy there? 2019 Kia Soul Shadow Black 26/31 City/Highway MPG We do things different at Auffenberg. Every vehicle is priced to sell and the price you’ll pay. There are no additional destination fees or hidden add-ons. You asked for a simpler way to buy a car, and we listened. Paying cash, this is your price. Financing the vehicle at standard rates? This is your price. Do you have a trade? This is your price. Don’t have a trade? Still your price. Call any other area dealer and see if any sales employee can guarantee all of those things for you. If they can’t, why buy there? 2019 Kia Soul Titanium Gray Plus 25/30 City/Highway MPG We do things different at Auffenberg. Every vehicle is priced to sell and the price you’ll pay. There are no additional destination fees or hidden add-ons. You asked for a simpler way to buy a car, and we listened. Paying cash, this is your price. Financing the vehicle at standard rates? This is your price. Do you have a trade? This is your price. Don’t have a trade? Still your price. Call any other area dealer and see if any sales employee can guarantee all of those things for you. If they can’t, why buy there? 2020 Kia Soul Gray LX 27/33 City/Highway MPG We do things different at Auffenberg. Every vehicle is priced to sell and the price you’ll pay. There are no additional destination fees or hidden add-ons. You asked for a simpler way to buy a car, and we listened. Paying cash, this is your price. Financing the vehicle at standard rates? This is your price. Do you have a trade? This is your price. Don’t have a trade? Still your price. Call any other area dealer and see if any sales employee can guarantee all of those things for you. If they can’t, why buy there? 2019 Kia Soul Inferno Red Plus 25/30 City/Highway MPG We do things different at Auffenberg. Every vehicle is priced to sell and the price you’ll pay. There are no additional destination fees or hidden add-ons. You asked for a simpler way to buy a car, and we listened. Paying cash, this is your price. Financing the vehicle at standard rates? This is your price. Do you have a trade? This is your price. Don’t have a trade? Still your price. Call any other area dealer and see if any sales employee can guarantee all of those things for you. If they can’t, why buy there? Kelley Blue Book has repeatedly named the Kia Soul one of the coolest cars on the market, and there are few cars around Mascoutah that can offer what the Soul brings to the table — just see what the critics have to say. A spacious, well-appointed interior defines the Soul, ensuring there’s one for any driver here at Auffenberg Kia. From the base to the Plus to the Exclaim, the Soul is outfitted with high-tech connectivity, features like mood lighting and premium sound system, and sunny day comforts like a panoramic sunroof. With an incredible amount of cargo space, seating for up to 5, and the ability to compete with small crossovers, hatchbacks, and wagons, the new Kia Soul is something truly unique. 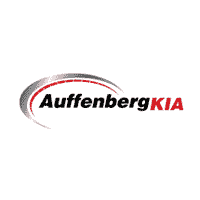 Turn heads and have fun on the road, whether you’re driving home to Smithton or Trenton with a Soul from Auffenberg Kia. Contact us to learn more or schedule your test drive.